After the American Association collapsed, the National League re-enrolled St. Louis to raise the total to twelve. 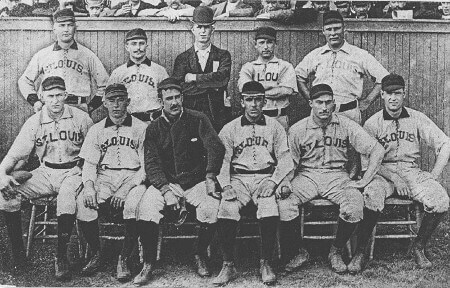 The St. Louis Cardinals have had perpetual affiliation since. Their inaugural season of reentry was largely a disappointment their winning percentage plunged from .625 in 1891 to .373. With an opportunity emerging the next season for a larger property at Vandeventer and Natural Bridge Avenues, Von der Ahe moved the club a few blocks north-northwest from Grand and Dodier and opened a new park christened as “New Sportsman’s Park” on April 27.